Are you interested in our Accounting Degree Program? Because accountants and bookkeepers are an organization’s financial record keepers and assistants to management, graduation from this two-year program with an AAS degree can lead to good-paying career opportunities. You will learn the principles of accounting and the concepts behind the principles, and receive up-to-date training on some of the latest accounting software available. You will learn payroll accounting, taxes, managerial accounting, and more. You also will have general education and business courses required to obtain this degree, graduates are well equipped to compete for employment. Bookkeeping, accounting, and auditing clerks are financial record keepers. They update and maintain accounting records, including those which calculate expenditures, receipts, accounts payable and receivable, and profit and loss. A thorough understand of the Balance Sheet and financial ratios assist in determining the "health" of a business.These workers have a wide range of skills from full-charge bookkeepers who can maintain an entire company’s books to accounting clerks who handle specific tasks. All of these positions make numerous computations each day and increasingly must be comfortable using computers to calculate and record data. Bookkeeping, accounting, and auditing clerks held more than 1.8 million jobs in 2010. They work in all industries and at all levels of government. Local government and the accounting, tax preparation, bookkeeping, and payroll services industry are among the individual industries employing the largest numbers of these clerks. Employment of bookkeeping, accounting, and auditing clerks is projected to grow by 14 percent between 2010 and 2020. As the number of businesses and organizations increases and financial regulations become stricter, there will be greater demand for these workers to maintain books and provide accounting services. That makes it an excellent career choice. Job opportunities in South Dakota and Rapid City are expected to be excellent. Because accountants and bookkeepers are an organization's financial record-keepers and assistants to management, graduation from this two-year program with an AAS degree can lead to a number of good-paying employment opportunities. Students will learn the principles of accounting and the concepts behind the principles. Students receive up-to-date training on some of the latest business courses required to obtain this degree, graduates are well equipped to compete for employment. 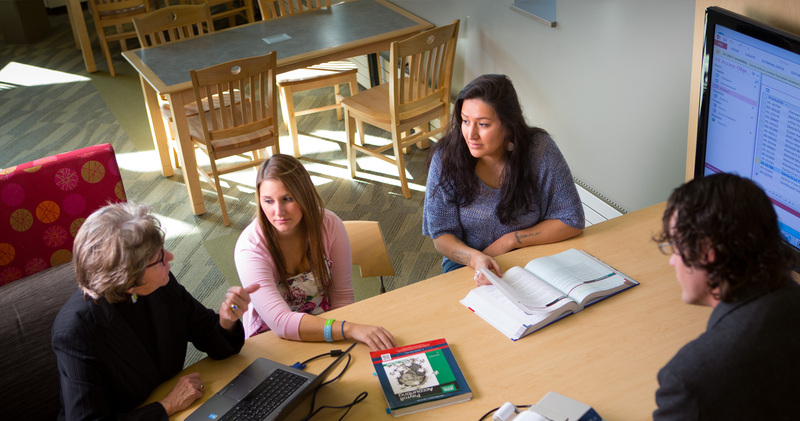 This degree is available 100% online or with a combination of classes on campus and online.